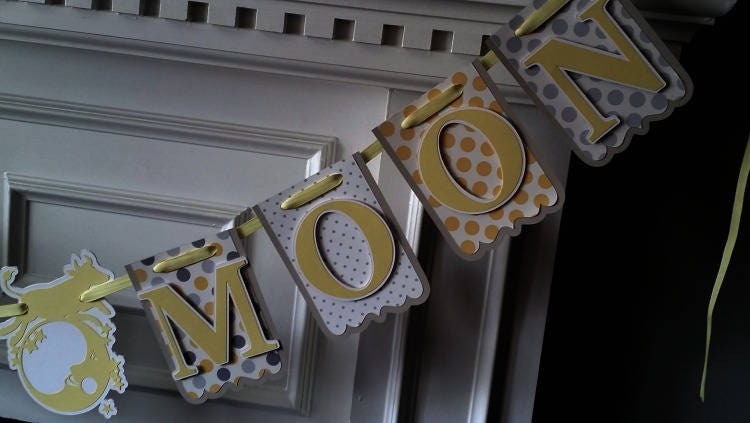 Nursery Rhyme Hey Diddle Diddle Over the Moon baby shower banner. 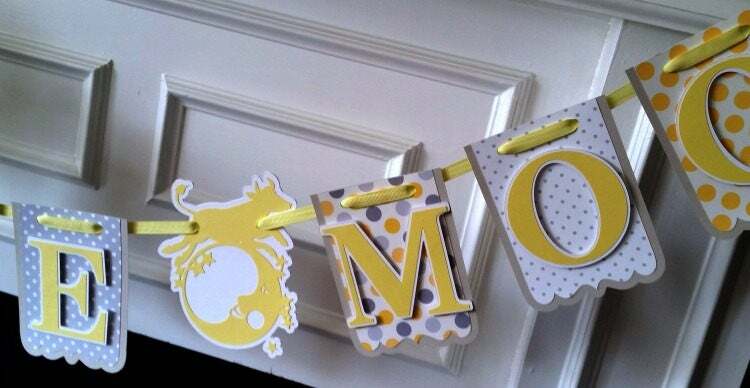 This cute yellow, grey and white banner will make a great accent piece for your baby shower or a great addition to the nursery. 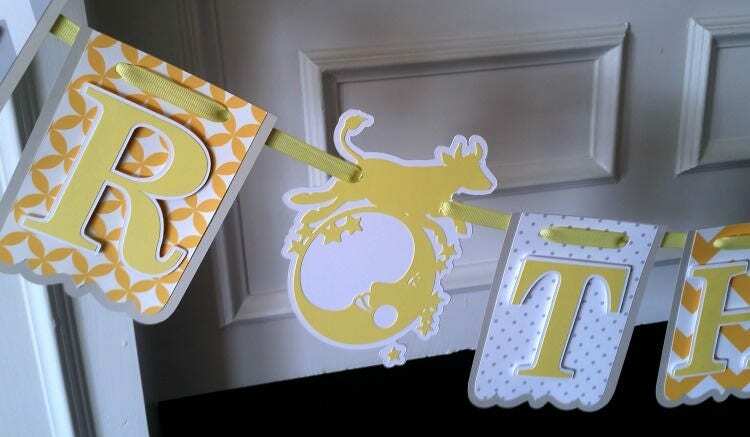 Banner features the Cow Jumps Over the Moon as word separators. Panels are 2 layers of quality cardstock- printed paper and shadowed with grey cardstock. Panels measure 4" wide and 6" in height. Please allow 7-10 days for order processing. All orders shipped within the US are via Priority Mail and come with tracking Information. International orders are shipped via US First Class International mail. Please allow a minimum of 2-3 weeks for delivery. 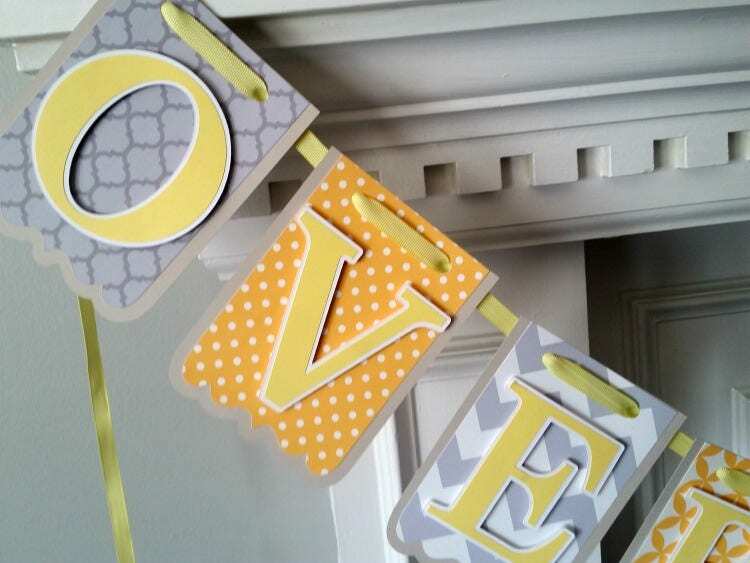 This banner was beautifully constructed and the choice of colors and patterns in the cardstock used was lovely and set the tone for the rest of the shower decorations. It shipped on time and arrived with no damage. I would definitely recommend banners by this company to anyone who want to make their party a truly special event.